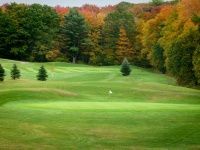 See our list of golf courses in PA. Sink a hole-in-one at these PA golf courses. Beautiful Green For You to Tee-Off! Arrowhead Golf Course is a great place for you and your friends to get out there and tee-off! 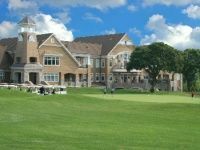 The course was built on a historic farm converted in the mid-twentieth century into one of the best golf courses in PA! The staff at Arrowhead takes painstaking care to maintain, and constantly improve, the quality of this massive 27-hole course, for the sake of their clients, and a great game every time. With three full-courses (Red, White, & Blue) Arrowhead is sure to suit your game. Take advantage of their nine extra holes, and schedule a tee-off today! See the historic namesake arrowheads found all over the course during its original construction! Golfing in South Eastern PA does not get much better than it is at Arrowhead! Great Golf for All Players! Blue Mountain Golf Course welcomes all players to come tee-off and enjoy a game of golf; it's a great place for experts to compete with friends, or for parents to teach their kids the classic game. 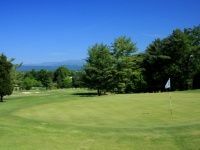 Blue Mountain makes golf fun and convenient with its location right off the interstate, its useful reservation system (allowing you to book a game up to a year in advance) and its delicious catering in the pavilion. Take advantage of the rolling hills of Dutch Country! After you're done playing, you'll love visiting the new snack bar for a quick bite, or the pro shop for the latest, and highest quality, accessories and gear. This is a top golf course in PA! One of the Best Pennsylvania Golf Courses! Mt. Hope Golf course is set into the beautiful, scenic green fields of Amish Country with painstaking care, and the best of modern course design. The layout of the course is in line with USGA recommendations, and their tee selection offers a customizable game which is fun for the beginner, and challenging to even the most hardened golf pro. Golf courses in PA don't come lovelier than this; their pavilion is large and accommodating, which makes it great for a family outing! Mt. Hope takes pride in providing a great game every time! It's not for nothing this course won the Meadville Tribune's Reader's Choice Award 2006, 2007, and 2010! Tee off, and follow the distinctive Horse and Buggy logo down to one of the best experiences you've ever had golfing in Pennsylvania. 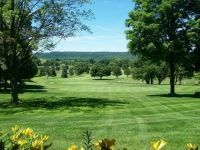 Pine Grove Golf has been serving players of this classic game on their beautifully crafted course in the scenic landscape of rural Pennsylvania since 1957. Designed to accommodate both experts and beginners, the course features all the challenges you would expect from the hardest course, along with a driving range, practice green, and different tees for each level of skill. The course welcomes parties of all sizes, and with online reservations, it's easy to book a tee-time. Amenities include a snack bar, and a fully equipped pro shop, sure to have whatever accessories you're looking for. If you want the practice, or you're looking for a place to play golf in Pennsylvania with friends, Pine Grove Golf is the place to try! Good Old-Fashioned Country Club Golfing! Iron Lakes Country Club has one of the best golf courses in Pennsylvania, built into gently sloping land, designed for both its aesthetic beauty and its ability to present a challenge to players; it's a simply breathtaking experience. The golf course is able to accommodate players of all sizes, ages, and skills levels. The facility is comfortable too, with all the amenities you enjoy like Golfer's Hickory Grill with delicious food, and a great pro-shop stocked with everything you need. 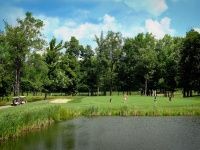 There is no experience golfing in PA like playing 18 holes at Iron Lakes.They feature all sorts of different competitions and leagues, as well as corporate events! They Earned a Four Star Rating! With a Four-Star Rating from Golf Digest's "Best Places to Play," Southmoore Golf Club in the Lehigh Valley is among the best golf courses in Pennsylvania. The club has rates and services to accommodate every golf enthusiast. Learning the game? Why not try the driving range and practice green, while Dad, Mom, and friends hit the links for one of the the most challenging games they've ever had. The course is big, beautiful, and draws players from all over the state for its numerous specials and deals. They have great instructors too so you can hone your skills, and enjoy your favorite sport at a higher level! One of the Best Public Golf Courses in PA! 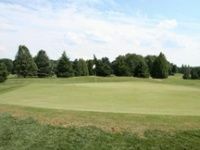 Green Meadows Golf Course in North East, PA is one of the best public golf courses in the state! 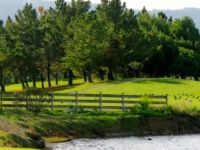 This full 18-hole course provides an affordable option for the enthusiast looking to get out and hit the links on a regular basis. Memberships are available, and tee-times can be reserved up to a week in advance. This flat course is perfect for any level-for the adult expert, the young beginner, or the practiced senior. Lessons are available for those looking for a little guided practice, and clubs are available for new students! If you're looking for a great affordable golf experience in Pennsylvania, then you need to give Green meadows a try! Chautauqua County's Favorite Golf Course! Cable Hollow bills itself as the "Area's Premier Golf Course" for a reason, having won the Post-Journal Reader's Choice Award, as well as having been voted Favorite Golf course in Chautauqua County five years running. Cable Hollow is dedicated to the niceties of the game, as well as to providing a challenging and exciting experience on every hole. The course, played at its highest level, provides a serious, competitive atmosphere for your next game. At the same time, the Club House and its facilities like the dining room, and the fully stocked pro shop will all you enjoy, even more, your favorite pastime. This is as good as Pennsylvania golf courses get! 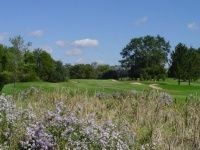 Scottish Heights has eighteen beautiful holes in Brockport, PA, including the signature Hole Four, featuring a water hazard with a shot over Rattlesnake Creek. The course is open to players of all skill levels - providing a significant challenge to those who play competitively, as well as practice and lessons for the up-and-coming. Take advantage of their signature Play and Stay deals that let you hit the links in the morning, and then let you relax in the club lounge before you retire into a comfortable suite. Or, once you're done playing you can head down to the award-winning Bagpiper's Restaurant. Scottish Heights is one of the best golf courses in PA; it's not just about golf, it's a full-day experience. Loch Nairn Golf Club is dedicated to bringing the traditions on which the game was founded into the modern era with a challenging and exciting course. 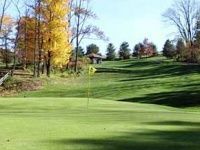 This public golf course in PA comes with all the amenities of your favorite private club: the shots are just as difficult, the lounge is just as refreshing, and their pro shop carries all the finest gear. Rates are low, and tee-times are available right now! Instructors and practice areas are available! After you've hit the links, why not refresh yourself at the 19th hole, the club Tavern! Have a cold draught beer, and catch up on the big match. Your best game of golf awaits you at Loch Nairn!